Got in late on this one. 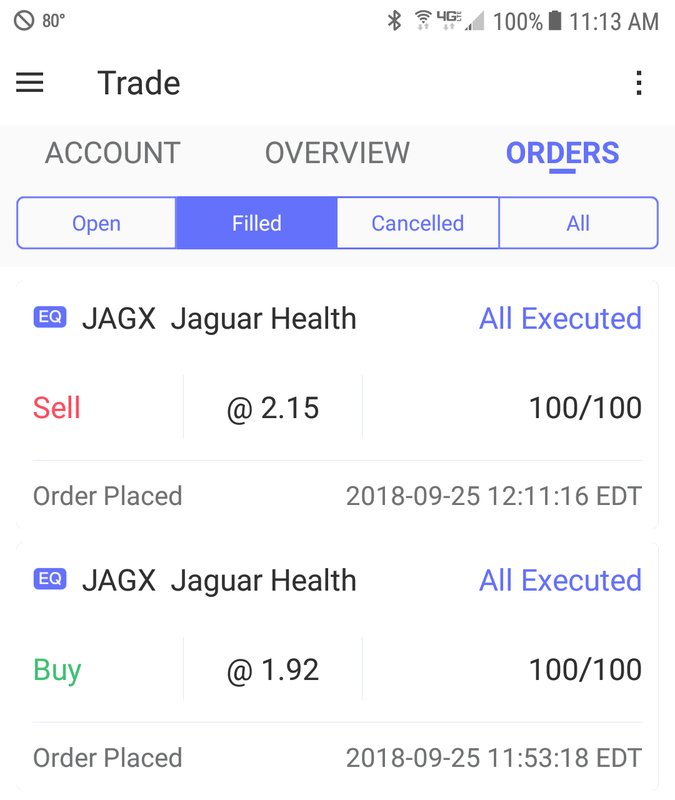 Thought about buying last night and holding O/N but didn't. PM trading was crazy. Waited for morning dip & bought small position. Set a goal of 15-20% which would have my exit between 2.20-2.25. I bailed at 2.15 because I didn't think it would hold. Shortly after, price went to 2.50. I'm happy with taking my part as I learn.